I have been using .asmx web services for about 7 years now, and have not run into too many issues while consuming valid URLs in VS.NET. And although I am not creating new .asmx services today because I prefer (as should you) WCF services, I still have some that have yet to be converted. "Unable to download following files from . https://myservice08.mycompany.com:3567/MyService.asmx?wsdl Do you want to skip these files and continue?" Well I found very little documentation on this issue (actually only 2 sites on Google), but I did manage to find the solution which on the surface appears quite obvious after explanation. It started when I moved an upgraded copy of this service (Framework 4.0, IIS 7.5, etc) to a new server. However I had the "myservice" SSL certificate imported and applied to this service in IIS that was named "myservice08" (name was only for testing). I knew ahead of time that I would get certificate mismatch errors ("myservice" <> "myservice08") because the SSL cert didn’t match the sites host name, but I figured for testing I could bypass and be OK. Well this ended up being a showstopper, because not only did I get the warning about the SSL certificate not matching the host name upon consumption, I got the other error reported above as well (which is not nearly as indicative of the SSL mismatch being as issue). In fact I was really thrown off because the .asmx service would still come up in the browser showing the wsdl just fine. So if you ever are working with legacy .asmx services and are receiving the same error I did upon consuming within VS.NET, make sure that the SSL cert name and the hostname of the service are identical. Let me begin by stating that Professional ASP.NET Design Patterns is a fantastic book that was worth every minute I spent reading it. The author, Scott Millett, is a great community leader and extends himself in several ways including spending time on the forums contributing to others into his strong insight of Domain Driven Design, Architecture, and Design Patterns. He has extended that helpfulness by writing this book that takes a dive into Design Patterns and Architecture from an ASP.NET UI centric view. However I would not get too fixated on the 'ASP.NET' in the title as probably more than half of this book could just as well have been called "Professional .NET Design Patterns" as it provides design patterns that are truly useful to all types of .NET applications once moving below the topmost UI layer. There are several chapters devoted to ASP.NET patterns including MVC which makes this still focused mostly on ASP.NET, but I would still recommend this book to WinForms and other SmartClient developers as well. This book's target audience is broad and could reach to several different types of software engineers. It is probably suited best for Senior Engineers, Architects, Leads, or generally seasoned developers. It is not really an introductory book (this is a good thing; there are plenty of those books out there already), so if you don't know what acronyms like OOP, OOD, UI, BLL, or DAL mean at a minimum already then you may want to read something along the lines of an introduction to Object Oriented Programming book 1st to gain some traction. This is however a terrific book for those that do have a lot of experience with a traditional 3-layer logical architectures, and are looking to bridge the gap to more sophisticated architectures using Domain Driven Design and other implementations of either Martin Fowler's or the GoF design patterns within. Scott does a wonderful job of layering the book (chapters) as you would an application. Each chapter takes either a single layer or design pattern and goes into detail on its responsibilities, relationship to other layers, and implementation with easy to follow along code samples. In fact I highly recommend downloading the code samples from the WROX website (WROX Code Download) The entire set of code samples are in C#, but don't let this slow up any VB.NET devs out there. I am actually a VB.NET developer (C# in the past) but we all know that you don't get too far in this industry without reading both so this should not be any problem. The 1st third of the book (roughly) concentrates mostly on individual logical layers of an application and how they work together to build an application. Within each layer, there are examples of Design Patterns (both Fowler and GoF) that are used and shown why they are useful within that particular layer. There is also a section on IoC and DI which I really enjoyed and are reoccurring patterns in the layers throughout the book. The 2nd third of the book concentrates mostly on ASP.NET architectures and techniques like MVC, MVP, and AJAX patterns. The last third is devoted to a case study example that uses the knowledge gained from the previous chapters. The book reads and flows extremely well and was one of the reasons I enjoyed reading it so much. I will also note that this is a great book for those of you familiar or have read the GoF book Design Patterns Elements of Reusable Object Oriented Software. As we all know code examples used to conceptually explain design patterns are not always critical, but Scott's book puts a fresh '.NET' perspective on several of the GoF patterns which is really nice. This helps to see how these patterns apply directly in .NET instead of taking the SmallTalk or C++ examples from the GoF book and translating them into .NET. The book wraps up with a full case study example putting all of the chapters together (Agath's e-commerce store). This again strengthens the flow of the book with an extended example using everything learned from the previous chapters, This solution is included in the 'Chapter 14' folder in the downloadable code and is a nice reference to show everything from the book. Well I will wrap this review up by saying this book is one for the shelf of 'Top Reference' books that go right next to the development machine. This is one of those books that you think, "How do I do that in the Repository Layer...", and then pick up the book to get a refresher. I would definitely recommend this book and keep an eye out for future books from Scott Millett. Nice Job! Another beautiful and informative day here in Orlando, FL at Visual Studio Live 2010. I would have to pull my old conference materials for comparison, but I really like the 4-5 class per day format. I seem to remember 6 or more classes per day in the past which can maker for a really long day especially if learning new concepts. However, this format has been perfect. Had great classes with industry leaders like Leonard Lobel, Gus Emery, and Jason Bock. I also must note that one of the best byproducts of these conferences is the side conversations and networking that occurs informally. Everyone at these conferences is here for one reason: they are the leaders of their respective teams or companies in reference to software development and related ares and love what we do. For this reason, everyone is eager to chat, talk, and discuss their jobs, work, applications, etc which is quite nice. One new product I learned of today was Microsoft WebMatrix. http://www.asp.net/webmatrix This is an all inclusive tool to rapidly build web applications using shared pre-built components built by the development community, and hosted on IIS Development Express. What I was instantly amazed by was how Rabi Satter (@rsatter42) wrote in '1' line of code (no joke) a Twitter client that searches for a keyword that took me probably 500-1000 lines of code (between Silverlight client and WCF proxy service) to do essentially the same thing. OK no denying that is nice, and the technology offers more of the same (Twitter, Facebook, Wiki, Blogs, PayPal, etc). It is still in Beta and will probably not revolutionize web development and having everyone run away from their current platforms, but it certainly will have a presence. This is my 3rd Visual Studio Live (formally VSLive!) and I am enjoying it as much as ever. If you ever get the chance to attend one of these events (Orlando, Las Vegas, Redmond, etc.) try and do it. The information is terrific and the insight from experienced presenters, peers in our industry, and general networking make it all worth it. Today I attended the workshop named "Making Effective Use of Silverlight and WPF" with Rocky Lhotka (@RockyLhotka on Twitter) and Billy Hollis (http://slmasters.net/). Talk about (2) all-stars of our industry. Billy's knowledge of UI design with Silverlight and WPF (and other UI technolgoes too WinForms, etc) combined with Rocky's experience being an experienced OOP and Architecture engineer (research CSLA.NET) makes for a wonderfully informative day. Rocky (4th time attending presentations) and Billy (2nd time hearing presentations) can offer a lot of knowledge for those wanting to a lot about A+ presentation design (Billy) or OOP and .NET Technologies (Rocky) and should be checked out this week. If you are attending Visual Studio Live I highly recommend any presentations by either these (2) presenters. Nice job gentlemen. Recently with the help of some folks over at StackOverflow I got pointed in the right direction for working with files on a FTP server and communicating with it via FTP over SSL. I had success using FTP client software to view and download files, but needed the code to do this programmatically in .NET. It is essentially easier than I thought and just casts a 'WebRequest' object to an 'FTPWebRequest' object and then the methods called are identical to those used in a traditional WebRequest call. - Getting the Object parameter values set properly to match those of the client software I was already having success connecting with. - Validating the Server's SSL Certificate programmatically. - Getting around a 550 error I kept receiving when accessing the file directly. 'Using an anonymous method, check to make sure the SSL Certificate being served up is the correct one. 'checking you will want to use the line below and long hand the method call. 'We are going to enable SSL for the communication with the FTP server as required by the remote server. 'Use a 'Passive' data transfer process. This setting was the same in my FTP client software. To solve my 1st issue I mentioned (get object parameters set), I essentially found and configured the FTPWebRequest object to mimic an existing workable connection from my client software. A lot of the FTP 'lingo/jargon' is identical between .NET and FTP client software. I recommend connecting to the FTP server as I did 1st using client software (i.e. FileZilla) to make sure you do have everything correct before running in circles with code that would never work because you don’t have permissions anyway. Next I had to validate the servers SSL certificate programmatically. I was able to use a Lambda Expression using an anonymous method to to create a delegate that would check to make sure the proper SSL Certificate was being presented. If the validation logic is more elaborate, you can use the commented out call to wire up an event to a method named 'CertificateValidation()' by assigning the ServerCertificateValidationCallback on the ServicePointManager object. Now either method could technically just return 'True' and all certificates would be trusted and validated, but I wanted to make sure I am actually presented with the correct certificate. You can easily find out the name of the certificate by turning on tracing in the web.config (explained below). Then you can make sure the proper certificate was served, and then Return True. This process actually exists the 1st time you probably connected to the FTP server with the FTP client software (i.e. FileZilla). A dialog probably presented itself asking if you trusted the certificate. This code is dealing with that process programmatically. "The remote server returned an error: (550) File unavailable (e.g., file not found, no access)." This code demonstrated how to download a file from a FTP server using SSL, but there are many other operations you can do as well (i.e. Uploading, file renaming, directory listing, etc.). Just modify the Enumeration value of 'Request.Method'. Why Are My Lambda Functions Throwing An Error at Run Time With a System.MissingMemberException Exception? No default member found for type 'VB$AnonymousDelegate_0(Of String,String)'. The signature of (Of String,String) is not that important and if you are receiving this problem, it would reflect the lambda functions signature of your method. 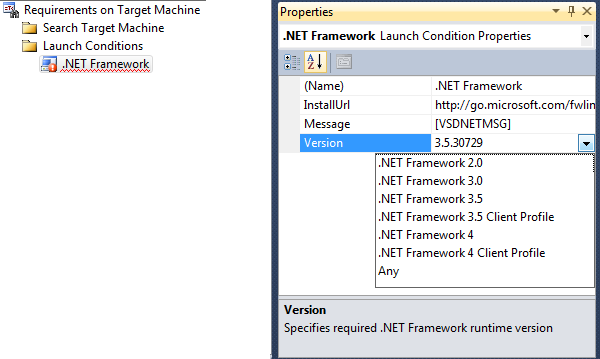 I took the code and placed it in a test harness VS.NET 2010 app, and it both compiled and ran successfully. One thing I immediately noticed is if I hovered over the Function variable declaration it resolved to: Dim MyFormatFunc As <Function(String) As String>. In my problematic application it resolved to nothing. Well the problem lies in the project setting to allow 'Type Inference'. 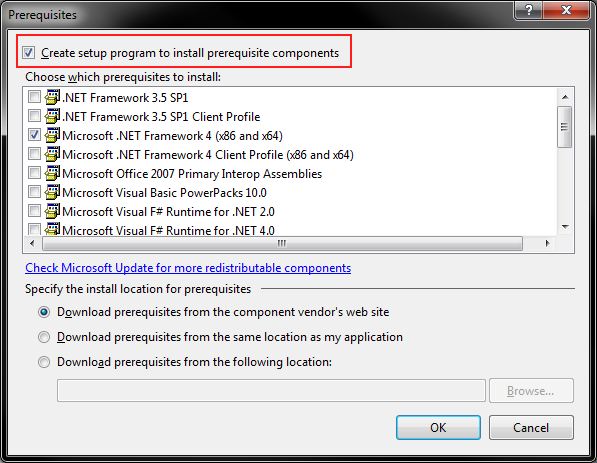 This was a VS.NET 2005 originating project that has been converted to 2008, then to 2010. If the project originated in 2008 or later, Type Inference is set to 'On' by default. My grandfathered application had it set to 'Off' which meant these anonymous types would be treated as type 'Object' instead of resolving to their appropriate type. You can change this setting at the page, class, or project level which is what I prefer. 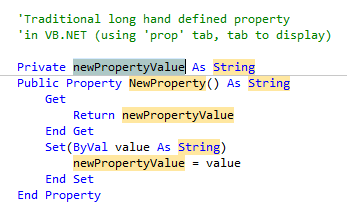 To turn on this setting, right-click your project in Solution Explorer within VS.NET (or double click "My Project" to get the same result) which will bring up the project's properties. Click on the 'Compile' tab and change the dropdown for 'Option infer:' from 'Off' to 'On' (pictured below). Recompile your app and run it again. Your lambda functions will work properly and you will not receive any errors (assuming you coded them correctly to begin with). You will also see the IDE resolves the type at design type if you hover over the declared lambda function variable. 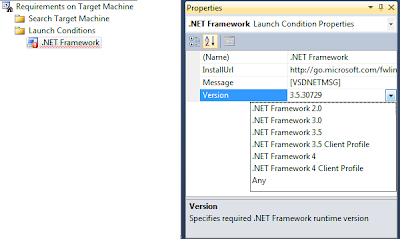 Recently while using VS.NET 2010 I had an unsettling feeling when I opened my solution file (.sln) that I have been working on for the past 3 years to find that only 1 of the 3 associated projects opened up. Well I immediately knew everything was ok because all of the directories, etc. still existed for the unopened projects, so I had to figure out how to fix the problem. This particular problem occurred due to a corrupted .sln file. The .sln file associated with a VS.NET solution contains the meta data in text format of the associated project and source control information. To see this information, navigate to the .sln file in Windows Explorer and right click to select 'Open with' and select either Notepad or WordPad. You will be able to see associated project information, along with the project GUID, source control information, and other meta data. For whatever unexplained reason, my .sln file only had the details for a single project in the solution, and therefore was being the only one opened up in VS.NET. I didn’t want to start adding projects manually via the IDE thinking that could cause a mess. The solution lies in correcting or replacing the .sln file. I chose to go to my source control provider and get a 2nd most recent version of the .sln and placed it in a separate location from the real .sln file to inspect. 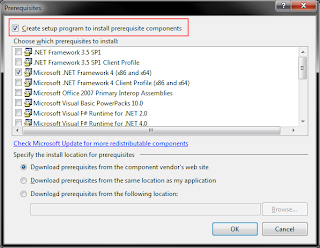 Upon opening the version from source control, I found the details for all (3) projects as expected. There are (2) ways to fix the issue at hand now, and I recommend making a backup of everything before making any modifications to this file in case there is an issue. I chose to copy everything out of the properly formatted .sln and paste it into the corrupted .sln file and then reopen the solution. 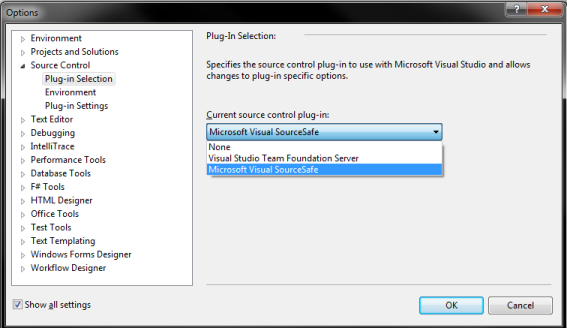 The other option would be to simply replace the .sln file directly. After reopening VS.NET, I didn't use any quick links on the home page and manually navigated back to the .sln file to open the solution. I received one warning/option box stating what was loaded was not the same as in Source Control (because I had modified the .sln manually), and told me it would notify me of issues or differences, which there were not any. I had to reset the startup project and startup .aspx page and all was back to normal. There is more than meets the eye when it comes to the User Account Control (UAC) settings configured on the various Microsoft Operating System platforms, and I will not get into it all. I do think it is an important security feature to alert users when accessing an application that has prompted for elevated rights. 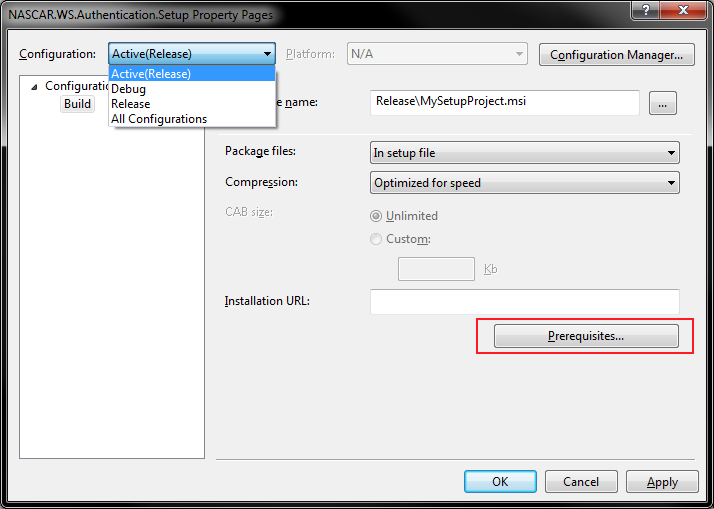 When this occurs a UAC popup window appears prior to the application launching. This gives the user the chance to cancel any process that was not initiated by them directly. 1. 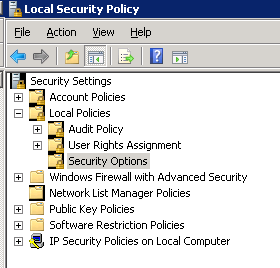 In Windows Server 2008, go to Start -> Administrative Tools -> Local Security Policy. 2. In the tree within the Local Security Policy MMC, expand Local Policies -> Security Options. 3. Scroll down in alphabetical order on the right-hand side. There are a block of settings for UAC. Again as mentioned before there is more than meets the eye with UAC, but for this operation we are only concerned with a single setting. Find the setting marked 'User Account Control: Behavior of the elevation prompt for Administrators in Admin Approval Mode'. 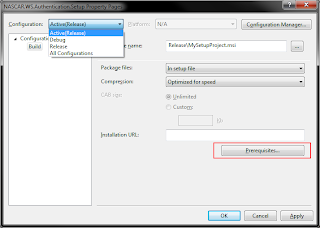 Right-click the setting and select 'Properties'. 4. Change the dropdown setting to 'Elevate without prompting' and select 'Apply' to close the dialogue. You can also close the Local Policies MMC. 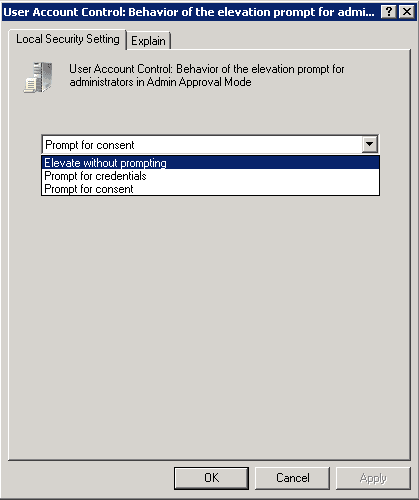 That's all there is to it; now when you open application that requests elevated permissions, you the administrator will not be prompted by any UAC pop-ups.